Millennials are the future, especially the future of real estate. Right now, millennials are the largest generation in the U.S. workforce. Brokerages are competing heavily to attract the young guns of the industry who have the tact and drive to thrive in such a fast-moving career. In order to find these rockstar professionals, brokers need to know these four things about recruiting and retaining Millennials. What kind of culture does your brokerage have? Do you have solid camaraderie among your professionals creating a supportive and collaborative office environment? Or maybe you have solid training and lead generating processes. These are the types of things you need to promote to the younger workforce. 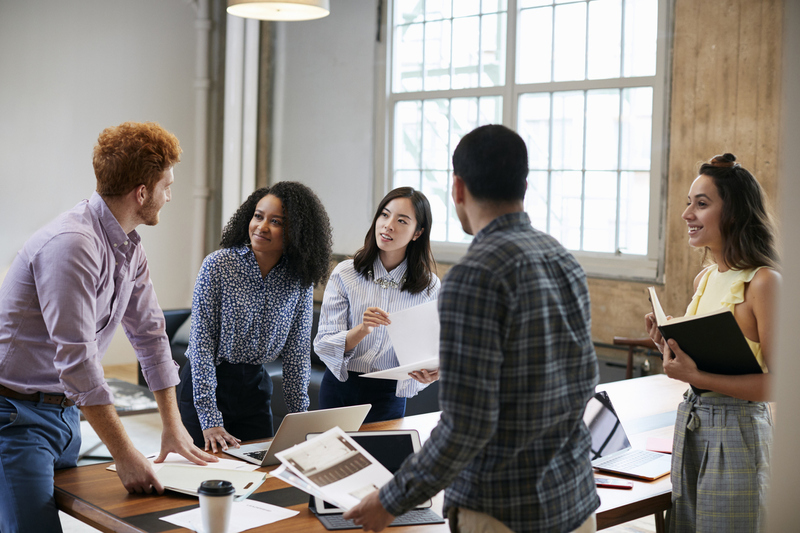 One of the biggest reasons millennials are attracted to brokerages is because of the culture and one of the reasons they stay is because of the work environment that is established by the culture. A great way to establish culture is to host various events that bring the office together, such as happy hours. A laidback event that is still in a professional setting can help millennials see the culture without the pressure of a formal introduction. According to Ladders, 86% of millennials said that if they had “career training and development” through their employers, they would not leave. Presenting young brokers with plenty of opportunities to learn alongside successful real estate professionals will give your brokerage an edge above the others seeking out these millennials. For those who are entering a fast-paced industry, career training and development can be a big ticket item. Millennials want time from their brokerage. They want to know that their employer is taking the time to nurture and mentor them in their career so that they feel comfortable venturing out on their own and performing the work to the standards of the industry’s most successful brokers. Mentorship programs can be a big attractor to millennials and through this type of established relationship, millennials will choose to stay. Millennials are some of the most tech-savvy people in the world. These young professionals will expect their brokerage to offer the same high-tech tools. They want to be able to work on the go, communicate easily and simplify business procedures. Mobility is a huge attractor for millennials. If a brokerage has outdated technology and old processes, it will be difficult to appeal to these young workers. Even if the outdated technology isn’t apparent at first, you will certainly not retain these millennials real estate professionals with old technology that has a lot of downtime. Millennials have a lot to offer to the real estate industry. These well-educated, young workers are dedicated and driven to do what it takes to be successful in the industry. These four things can help brokerages compete for and retain the best talent out there in the generation that has over 56 million people currently in the workforce.